Edward J. Wilbraham graduated from the University of Notre Dame in 1968 and Villanova University Law School in 1974. After spending eleven years gaining extensive trail experience as a Philadelphia County Assistant District Attorney, Mr. Wilbraham joined a large regional law firm in 1985. As a senior associate he practiced insurance defense law, handling both bodily injury and property damage cases. 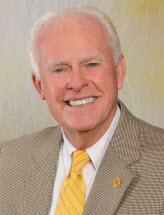 Mr. Wilbraham founded the firm in 1989 and served as its President until 2014. Mr. Wilbraham is licensed to practice law in Pennsylvania, New Jersey, New York and West Virginia. He has tried to verdict more than a hundred civil jury cases. He serves as national trial counsel to several fortune 500 corporations and conducts his trial work in Pennsylvania, New Jersey, Delaware, Ohio, West Virginia, and Maryland. Mr. Wilbraham has been an A-V Rated lawyer by Martindale-Hubbell for decades and is deemed to be a Martindale- Hubbell "Preeminent Lawyer." He has also been selected as a "top Attorney" in Pennsylvania and New Jersey for many years. Mr. Wilbraham has recently been appointed to the Notre Dame Law School Advisory Board.